The journey from Grade 8 to Grade 9 began on November 15th when Rainbow District School Board hosted its annual Transition Evening for students and parents/guardians. 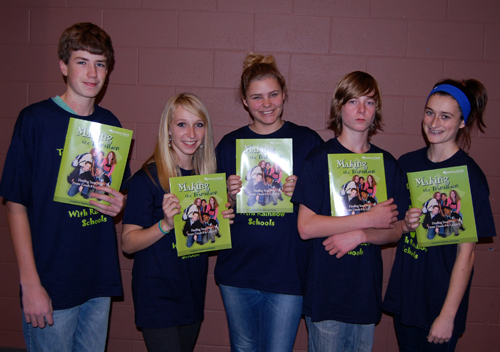 Students from Confederation Secondary School were among the many presenters, including Grade 10 students Matt Walker, Alex Smuland and Kennedy Williamson and Grade 9 students Brad Giffen and Charity Walt. The Transition Guide is available on rainbowschools.ca. This was the first in a series of transition events taking place in Rainbow Schools. A French Immersion Transition Evening will be held on January 18th at Laurentian University (West Residence Building) from 6 pm to 7:30 pm. Rainbow secondary schools will host Information Nights in January and February. Watch for details.